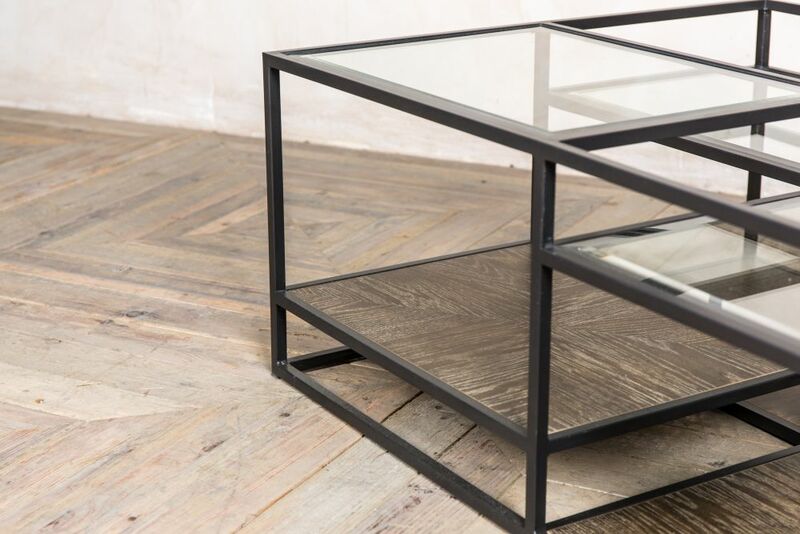 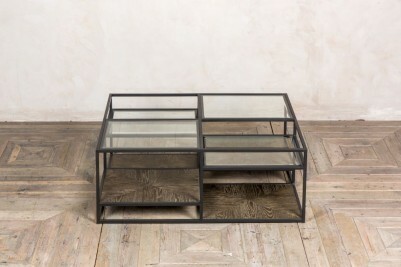 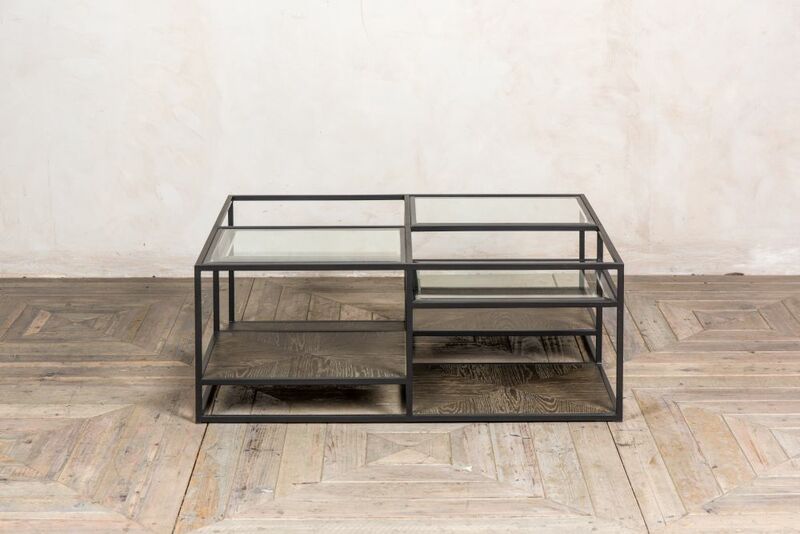 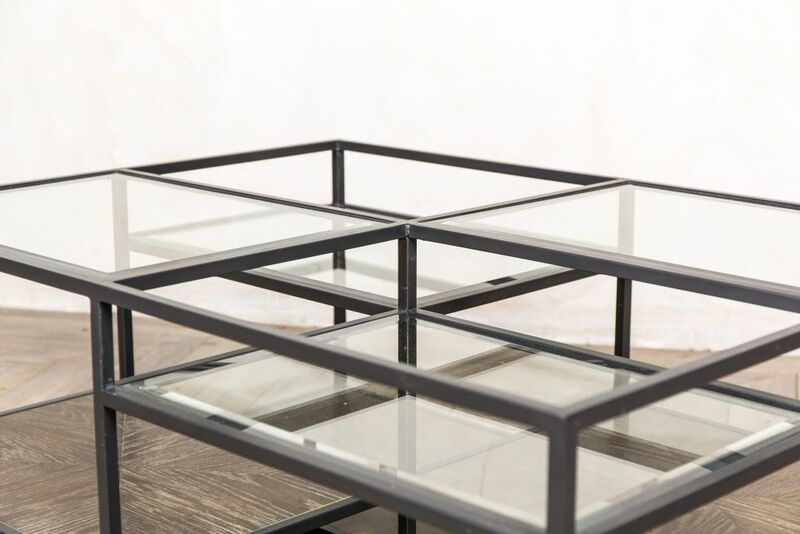 This tiered modern glass coffee table would make a fantastic feature in any interior. 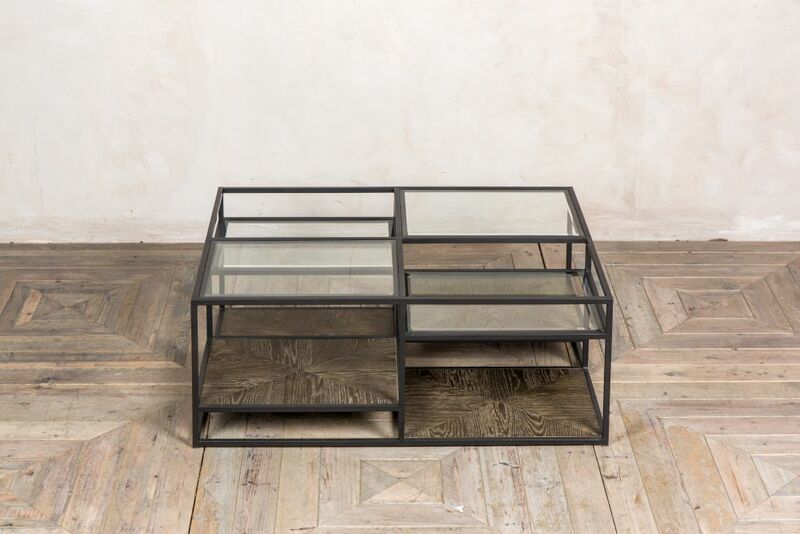 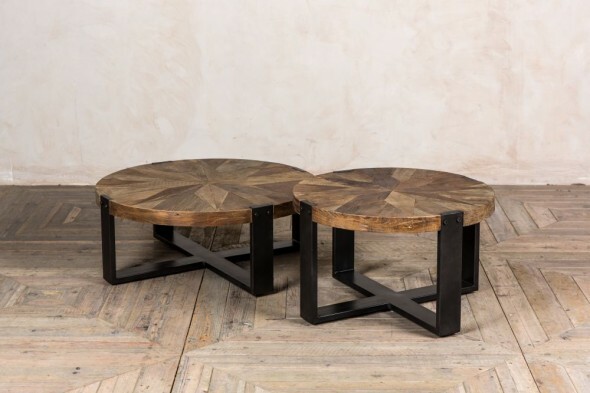 It’s a striking piece of furniture that would suit either a contemporary or vintage inspired space. 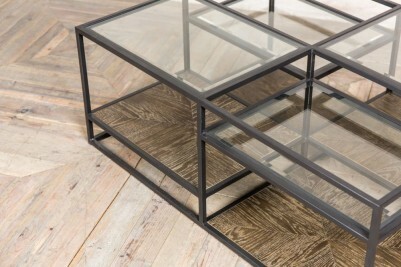 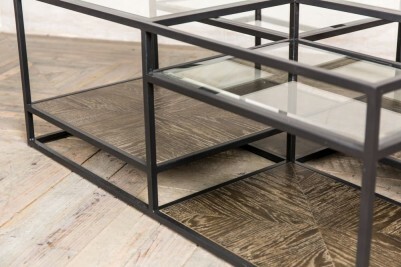 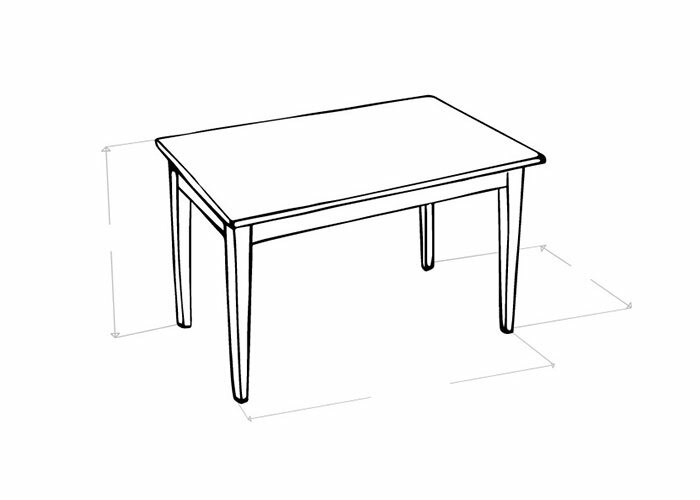 The coffee table has a metal frame, and panels made from burnt oak and glass. The glass panels have bevelled edges, giving the coffee table an elegant finish. 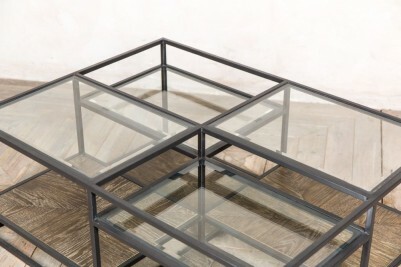 Styling the coffee table with different accessories on various levels will give it a quirky and interesting appearance. 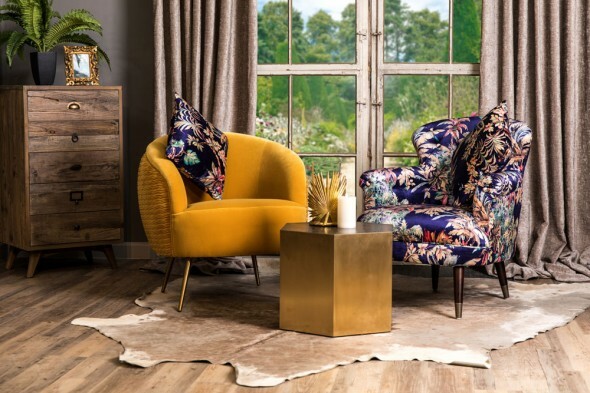 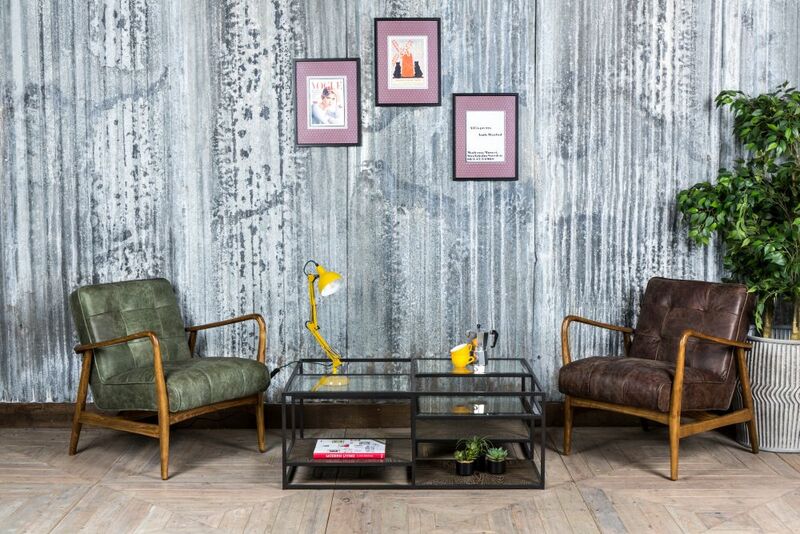 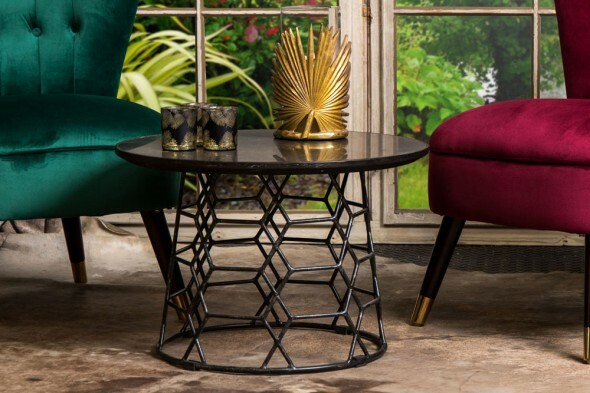 Decorative items pictured with the coffee table are not available to purchase; however, the ‘Hamilton’ chairs pictured are available to purchase separately.